There is a light at the end of the dissertation tunnel. I suppose it could still be the headlamp of an oncoming train, but I think that’s probably unlikely. In the meantime, a bit o’ something new. And brightly colored. 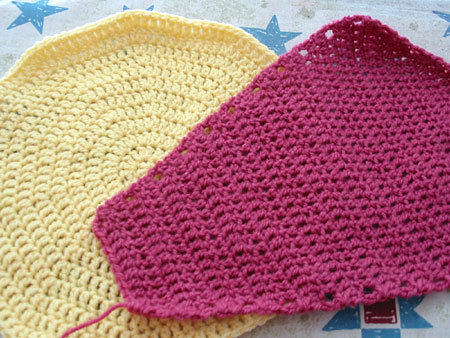 It’s the start of the Cobijita Floresita crocheted baby blanket by Mia Zamora Johnson, aka Owlishly. Pattern available on Etsy and on Ravelry. Check out her other stuff too, it’s adorable. So far the best thing about this blanket is that it’s almost entirely done in double crochet. That’s about all my brain can handle right now, cuz after a couple weeks of intense thesis writing and revising, she be fried. CogKnition posted this on August 11th, 2009 @ 5:00pm in Crochet, Unfinished Objects | Permalink to "A Ray of Light"